There are many different ways of achieving high availability for MySQL. DRBD (Distributed Replication Block Device) is one of the leading solutions for MySQL HA (High Availability), in this blog I would demonstrate how to configure, install and test MySQL and DRBD. DRBD synchronizes data at the block device (typically a spinning or solid state disk) – transparent to the application, database and even the file system. DRBD requires the use of a journaling file system such as ext3 or ext4. For this solution it acts in an active-standby mode – this means that at any point in time the directories being managed by DRBD are accessible for reads and writes on exactly one of the two hosts and inaccessible (even for reads) on the other. 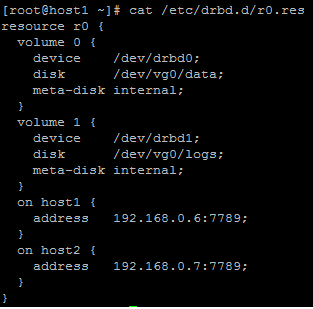 Any changes made on the active host are synchronously replicated to the standby host by DRBD. 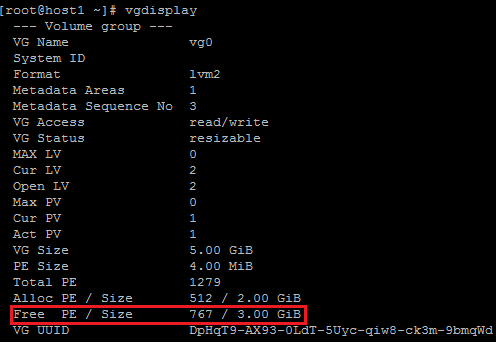 * Unpartitioned space on the local disks to create a DRBD partitions, in this example I would use LVMs as DRBD backing device. 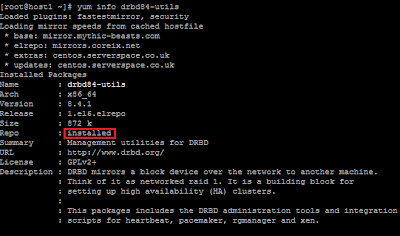 For simplicity, servers are named as host1 and host2. Note: If you don't have any Volume Group available but have empty partition available. Click here to learn more about how to create Volume Groups/LVMs. 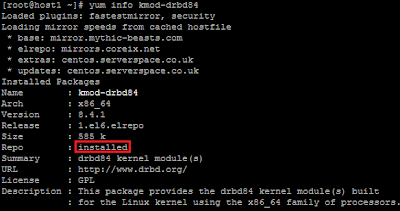 Now we should start DRBD daemon on both hosts (run the command about the same time on each host, because DRBD need to communicate with each other). MySQL binaries should be installed on both of the servers. 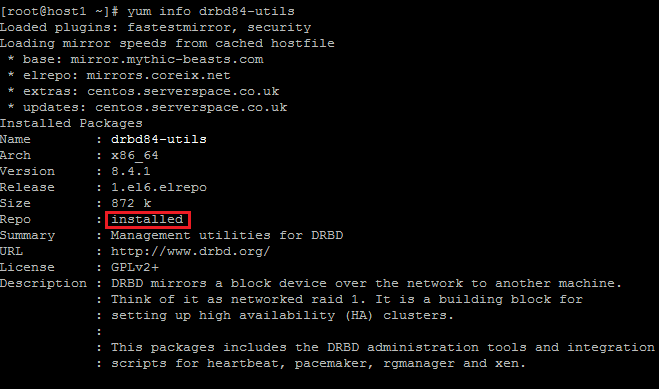 Ensure that host1 is currently primary and DRBD backing devices are up. [root@host1 ~]# mysql -e "CREATE DATABASE IF NOT EXISTS mysqlslap; USE mysqlslap; CREATE TABLE IF NOT EXISTS test (a INT, b VARCHAR(200)); INSERT INTO test VALUES (1, 'mysql drbd')"